Arlington is a principal city located between Dallas and Fort Worth with more than 365,000 residents that have chosen, “the American Dream City,” as their hometown. Known for its popular attractions Arlington is a proud home to Six Flags, Hurricane Harbor, Globe Life Park where the Texas Rangers play, as well as one billion dollar AT&T stadium where the Dallas Cowboys play and an annual Monster Truck Jam takes place, as well as many concerts. Not only does this city have many alluring attractions, Arlington also offers a large indoor shopping mall as well as an outdoor shopping complex with 30 restaurants, 90 retailers and is still growing. Arlington is proud of its many art museums, planetarium dome, more than 90 parks, and Levitt Pavilion that hosts more than 50 free concerts a year. The city strives to create an environment its residents can be active in with 12 aquatic centers, three golf courses, and a rec center, making Arlington truly perfect for the whole family. With so much to offer in any recreational, dining shopping or entertainment experience imaginable, Arlington isn’t just a place to visit, it is a place to proudly call home. 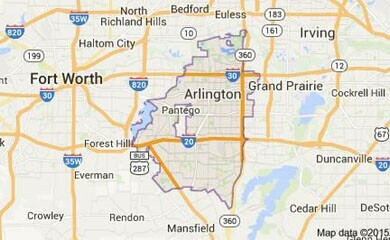 There are many opportunities for education within the city of Arlington. Home to the University of Texas Arlington, as well as many private school options, and a large thriving public school system, Arlington will have a place for every student to thrive. Arlington ISD strives to achieve today to excel tomorrow. Home to more than 63,000 students, it is the 11th largest school district in the state of Texas. AISD provides its student with a wide array of academic, athletic and artistic opportunities to help them thrive in the classroom as well as outside. AISD’s success thrives off of their mission to empower and engage all students to be contributing, responsible citizens thriving for their maximum potential through relevant, innovative and rigorous earning experiences.